The recent discovery of the fossil of a baglike creature named Saccorhytus coronarius, is a huge scientific breakthrough. 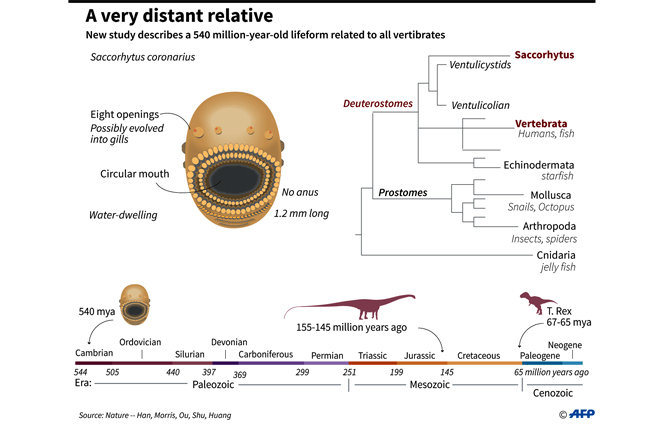 This baglike creature is known as the common ancestor of all vertebrates. Scientists noted that there is a strong evidence suggesting that we would not exist and other vertebrates if this creature didn't come into being. The first specimen was found in Shaanxi Province, China, a well-known place in the field of paleontology. 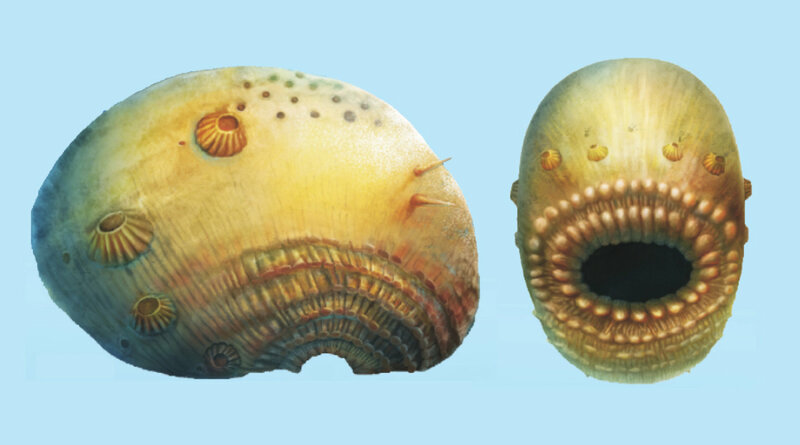 The Saccorhytus are microscopic creatures that lived 540 million years ago. The first image in this article is a mere artist reconstruction made by S. Conway Morris and Jian Han. These creatures are in fact microscopic and they can only grow up to 1mm long. They have an almost nonexistent excretory system that is the reason why they use their mouths for both consuming and excretion of waste material. Indeed, the discovery of the Saccorhytus may give way to more discoveries in the near future. Since the publication of Charles Darwin's controversial On The Origin of Species, we already have a clue where we came from. But regardless of Charles Darwin's discovery, religious fundamentalists are still appalled by the fact that we are indeed evolved organisms. Some of these fundamentalists even claim that Satan may have created the fossils to fool mankind or the fossils are just remains of creatures that didn't make it to the Ark.